On July 6, 2016, American software development company Niantic launched its new augmented-reality app, Pokemon Go. Within 13 hours of launch, it became the top-grossing app in the United States, as well as the most popular mobile game in history. Pokemon Go is on more phones than Twitter or Tinder, and it has reached over 26 countries across the globe. Such immense success begs the question: what is Pokemon Go doing right to entice and inspire such a huge following? It has attracted 21 million users with nearly 4 million additional downloads each day. Those numbers are staggering. The app has engaged users of all ages, encouraging them to explore their community on foot and form new friendships. As an interesting contrast, the healthcare system has not experienced anywhere near this level of success when attempting to engage patients on the topic of their own wellness. Clinicians including nurse practitioners and physician assistants often try to motivate their patients to eat healthy, exercise and join community groups, but these efforts are often ineffective. In fact, an entire field of inquiry called health behavior change has risen out of the need to motivate patients. Despite this research, no tool has engaged patients as successfully as Pokemon Go. This article examines five things healthcare can learn from this captivating app. According to the Pew Research Center, 68% of all Americans and 86% of those between the ages of 18 and 29 have smartphones. Additionally, one-third of internet traffic comes from smartphones. Pokemon Go has created a free app that people can play using this small, portable computer in their pocket. It has gone a step further and integrated the game directly into the user’s community. All they have to do is step outside to play. Healthcare should embrace the smartphone as well. Why does a diabetic need a separate device for his glucometer? Why does a working mom need to call to schedule her child’s next check-up? Why can’t I find the nearest defibrillator using the GPS on my phone? At the risk of insulting technology-savvy grandpas, Pokemon Go is so easy that your grandpa could use it! Whatever solution healthcare chooses – whether that’s a patient portal or medication adherence app – it needs to be similarly simple. Anyone and everyone should be able to understand and use it. For example, patient portals should use single-sign-on features and medication adherence apps should integrate with online calendars and alarm systems. Pokemon Go makes exercise, exploration, and socialization fun by merely gamifying these behaviors. Gamification refers to the use of gaming principals to engage and motivate users to achieve their goals. It often exploits a person’s natural desire for competition, status, achievement, altruism, and community collaboration by using points, badges, level-ups, leaderboards, and challenges. The principles of gamification are simple, and they are seen across industries including commerce, education, entertainment, and marketing. 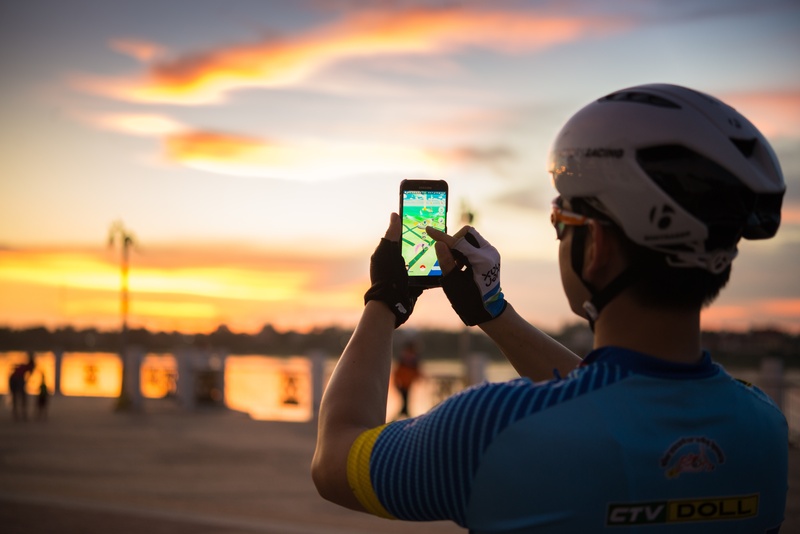 Although late to the game (no pun intended), some healthcare startups such as Ayogo and Mango Health are using gamification to engage and motivate patients similar to Pokemon Go. There’s no doubt about it: social media is not just a fad. Although some researchers assert that Facebook membership is on the decline, new social platforms like Snapchat, Instagram, Pinterest, and Periscope are on the rise. Healthcare systems must embrace social media to attract and retain qualified staff, as well as patients. They need to generate and share content via Twitter and LinkedIn. Today, patients expect to see a hospital’s presence not only in the community at fundraisers, marathons and on billboards, but also on the web. A hospital’s workplace culture, internet presence and web reputation are just as important as their actual presence and reputation in the community. The most adaptable and forward-looking organization will make sure that all of their social media and mobile applications tie into one another for a cohesive online presence. The Pokemon Go app is free to download, but it gives players the option to purchase items such as coins, eggs, and incubators. Within five days of its launch, Nintendo’s market value increased by 9 billion dollars. Within a month, the app grossed 250 million dollars. Businesses including McDonald’s, movie theaters and bars pay Niantic to show up in the app as a prominent location for users to explore. For Pokemon Go, free doesn’t mean zero revenue. Are You Ready to Step Outside (of Your Comfort Zone) and Play? MedSource Consultants is ready. We take pride in staying abreast of emerging technologies in the health care field. Whether you’re an employer looking to hire technically savvy physicians or advanced practice professionals or a medical professional seeking an opportunity that is at the forefront of innovation, we are there to make the best match. Discover what working with a leader in the healthcare recruiting field can do for you by contacting one of our recruiting specialists today.